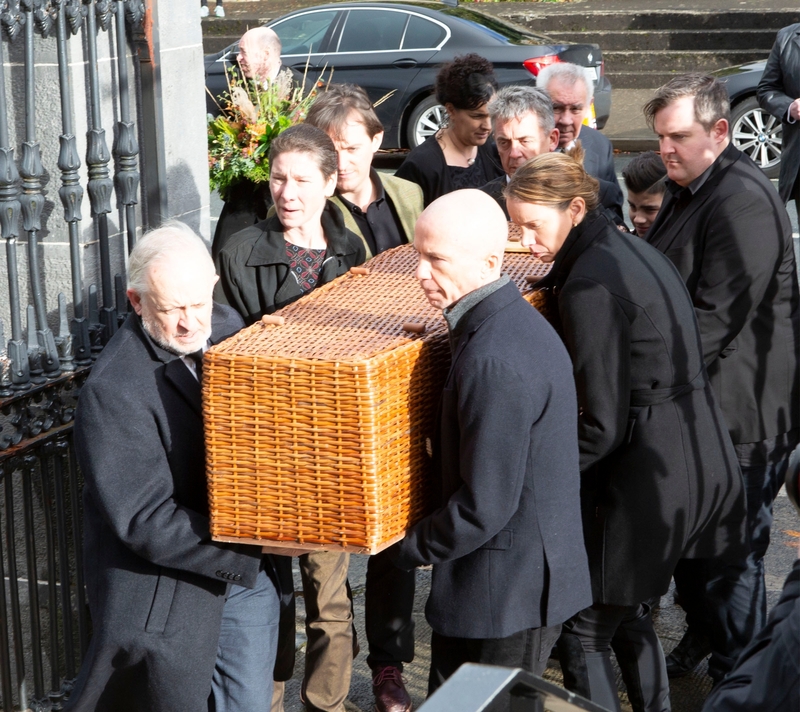 THE renowned musician and composer Mícheál Ó Súilleabháin has been celebrated at his funeral Mass as a “hero, who brightened our path with music”. 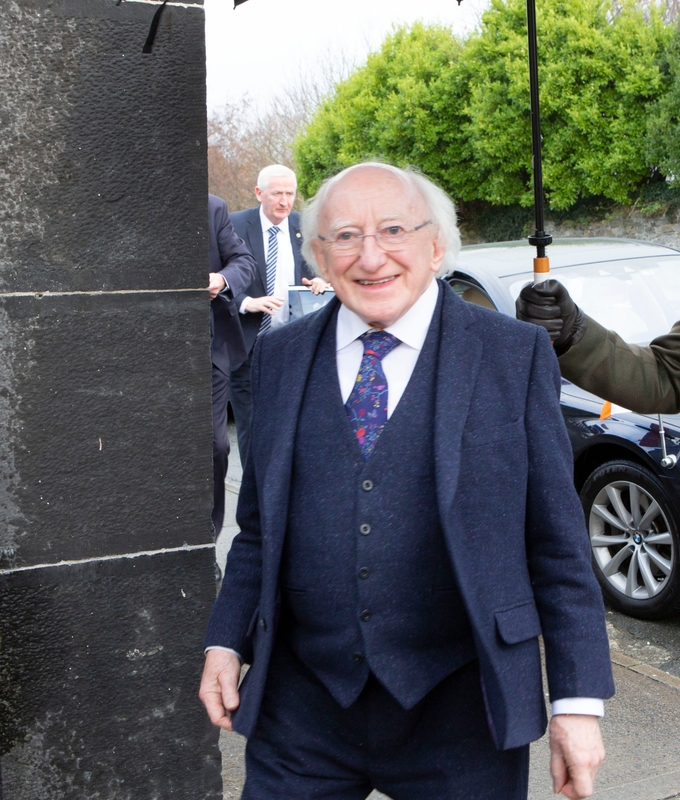 President Michael D Higgins attended the Mass for the Irish pianist, who founded the Irish World Academy of Music and Dance at the University of Limerick, in Kilrush this Monday. Ó Súilleabháin passed away last week at Milford Care Centre after a prolonged illness. He was 67. The Mass was held at St Senan’s Church in Kilrush, a place where the “estuary meets the vastness of the Atlantic ocean”, chief celebrant Fr Mark Patrick Hederman – former Abbot at Glenstal Abbey – said, noting that Mícheál Ó Súilleabháin had “created a similar estuary further up the Shannon where Limerick and Clare are joined by the Living Bridge” at the University of Limerick with the creation of the Irish World Academy, which he played an instrumental role in establishing. “The Irish World Academy is an estuary where the culture of Ireland can meet and mingle with the culture of the universe,” said Fr Hederman. “I am sure he has created an estuary in heaven where the pure and robust music of humanity can mingle with the angels,” he added. The church was also chosen because of Ó Súilleabháin’s lifelong interest in St Senan, who founded a monastery on nearby Scattery Island. “For many of us, Mícheál Ó Súilleabháin was a hero,” Fr Hederman said, adding that he had “brightened our path his music”. Mícheál, emeritus professer at UL, had planned the ceremony with “the detailed precision he would have done with one of his wonderful concerts,” Fr Hederman explained, noting that “everything has a message” in the ceremony, which was filled with music. Showcasing Ó Súilleabháin’s witty nature, there was a clown greeting guests as they arrived at the church for the Mass. Riverdance composer Bill Whelan and fiddler Martin Hayes were among those in attendance, while those taking part in the service included musicians from the Irish Chamber Orchestra, Sean-nós singers Iarla Ó Lionáird, Lillis Ó Laoire and Síle Denvir, saxophonist Kenneth Edge and Cantoral, the early music vocal ensemble of the Irish World Academy. One of Ireland’s best-known musicians, composers and academics, Ó Súilleabháin was originally from Clonmel but lived on the Murroe road to Newport. Following the Mass, Ó Súilleabháin’s were brought to Shannon Crematorium for a private cremation service. His family have said that donations, in lieu of flowers, will be apportioned equally among the Dialysis Unit at UHL, St. Brigid’s Ward in St. Vincent’s Hospital and Milford Hospice, “all of whom provided great care and attention to Mícheál,” they said.